We are a group of teachers offering quality, affordable classes to homeschoolers in the metro Atlanta area. Weekly classes for students of all ages, including a broad offering of high school level courses. Eastside homeschool classes meet at Lilburn Alliance Church, 5915 Lawrenceville Hwy, Tucker, GA, 30084 in Gwinnett County. 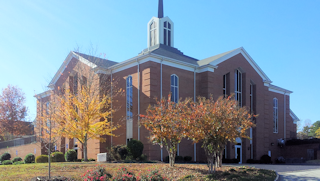 Lilburn Alliance Church is on Lawrenceville Highway, one mile north of Jimmy Carter Blvd. Classrooms are provided by the church as a service to the community. Enrollment for the 2019-2020 school year will be done online, at this website. For information on specific classes, contact the instructors. Many of the instructors will have a contact form on this site. For any general questions about Eastside or homeschooling, please see our FAQ, or call or contact the director, Michelle Shaw by going to the Contact page. Please do not call the church or the church staff - they are only providing the place for us to meet. Eastside Enrollment is open. You can follow the instructions in the Registration tab to enroll your student in classes.